Millennium Bash Mega Concert is a huge event involving a lot of bands. Live audio recording of these 3 bands was released by The Koffin Khronicles Records and distributed by Life Records in 2000. 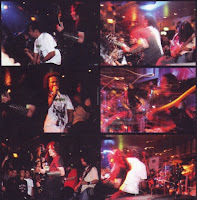 Blind Tribe and Koffin Kanser were later invited to perform as one of the opening acts for Napalm Death's concerts in Malaysia in 2001 and 2007 respectively. "Tat kala bagai pungguk menanti bulan... begitulah ceritera yang seterusnya. 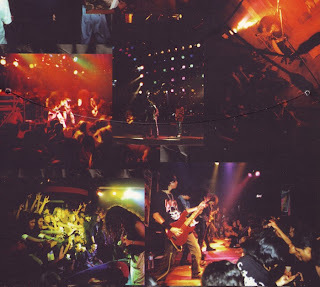 Selagi ada nyawa di kandung badan maka selagi itulah bergemanya suara dan bunyian metal yang menggegarkan. 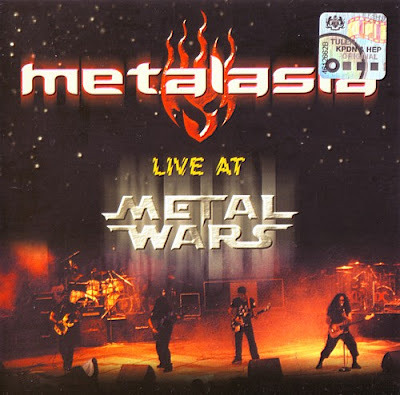 Kesatuan Panglima Gitaris Berapi telah bergabung tenaga kuasa sepadu menghasilkan sebuah album 'Live at Metal Wars'. 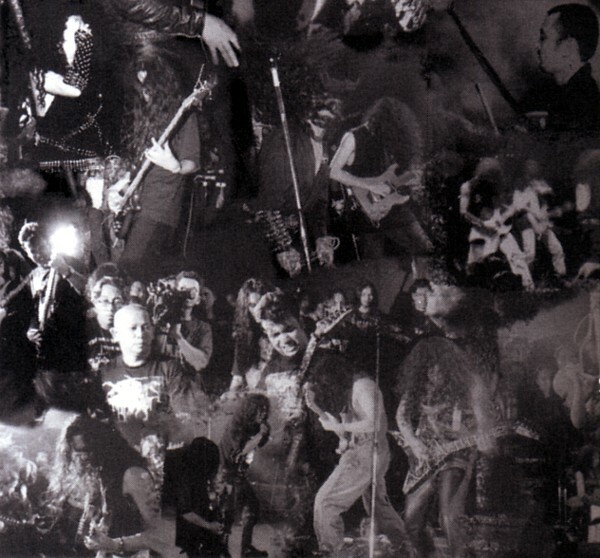 Pastinya ramai yang telah hilang sabar menanti akan kemunculan album yang mengandungi 10 buah lagu berapi pasti menggegarkan"
Compact disc released by Tri Castle Bass World Sdn Bhd and distributed by PonyCanyon Music (M) Sdn Bhd in 1999. This Metal Wars concert also involved FTG and XPDC. 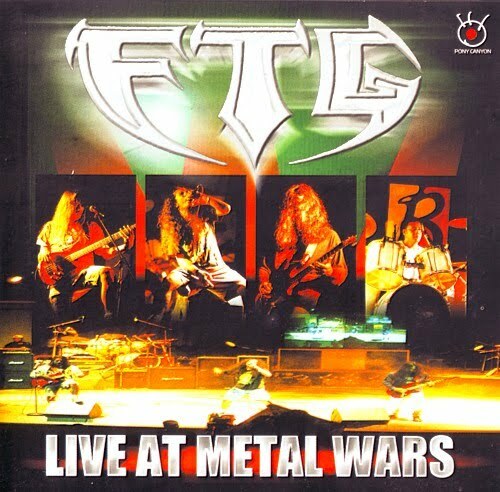 FTG performance was released separately on another CD in 1999 but XPDC performance was never released. Video format of this concert is not available. 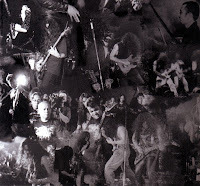 The other bands involved in this show were Aradia, Silent Death, The Fallen & Hayagriva. Over 700 people came to watch the show. This live audio recording was first released in 1998. 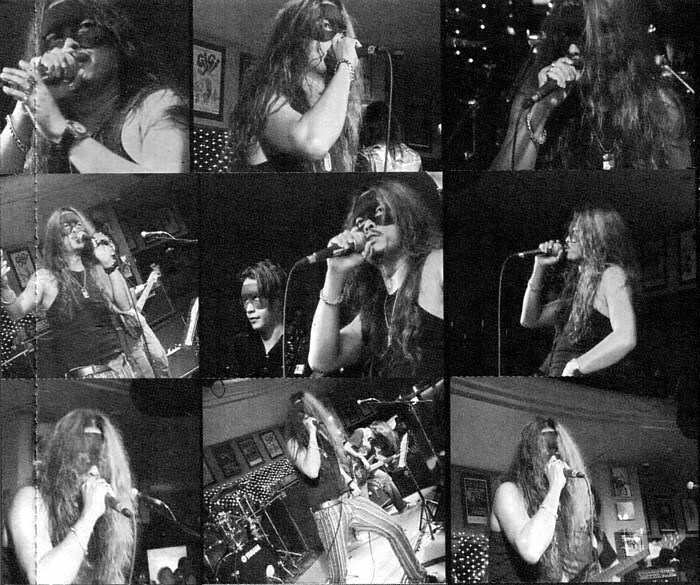 The re-released version with new album cover was published by Nebiula Production in 2003. Below are some photos from inside of the cassette package. 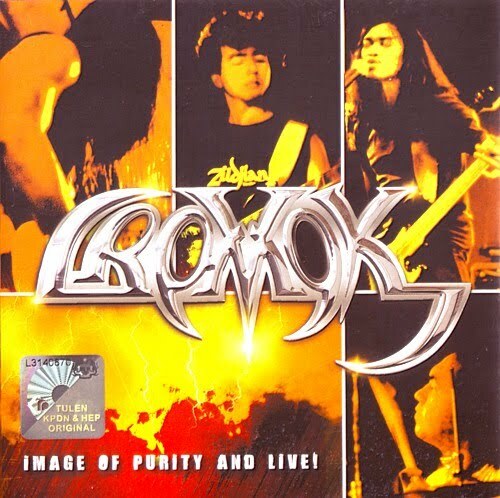 These 3 tracks of Cromok's live performance in Australia was included as the bonus tracks in the repackaged version of their 6th studio album entitled Untitled originally released in 2004. 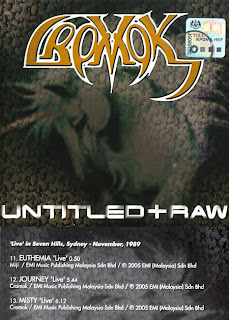 The repackaged album entitled Untitled + Raw was released & distributed by EMI (Malaysia) Sdn Bhd in 2005. 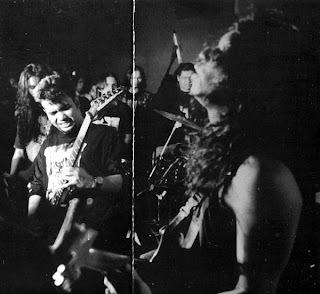 That album also included 3 tracks of Cromok's earliest raw recordings (non live performance) done in Australia in May 1988. 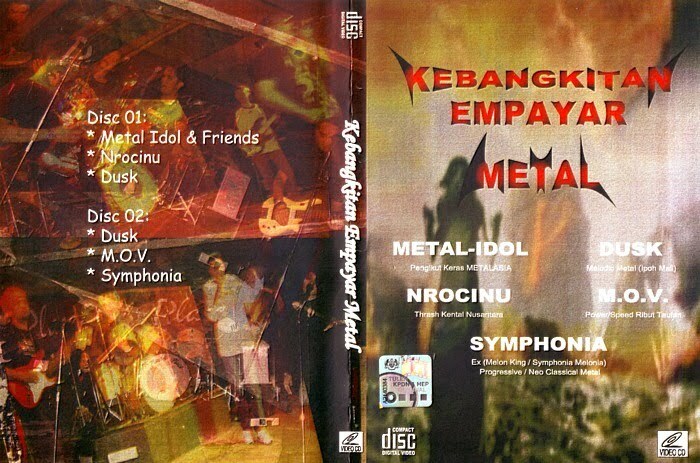 "DVD ini dicetak hanya untuk koleksi peminat. Sebarang penayangan umum adalah terlarang!!!" 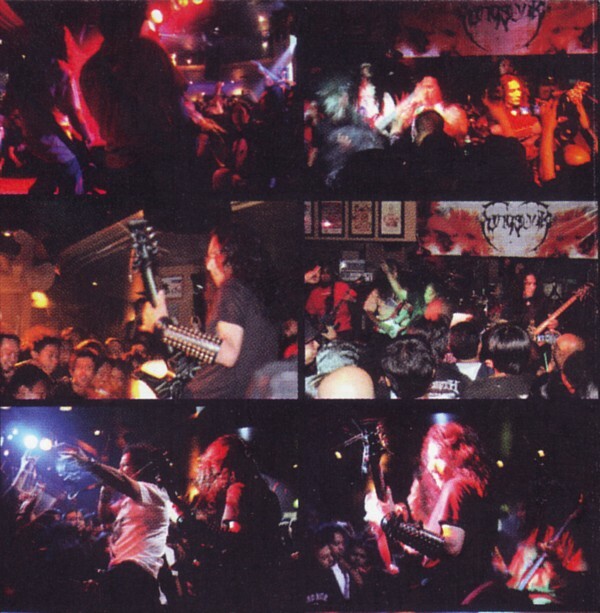 Double discs DVD released by NEM Records and distributed independently in 2009. Total running time is 4 hours and 53 minutes. Produced by Nebiula Productions and distributed independently in 2010. "In death we trust. 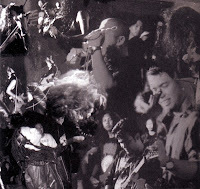 In brutality we blast"
A professionally printed single disc VCD released by NeoChronicles Productions and distributed independently in 2008. This "official video" was produced by Ground Radio, directed by Math Sick and edited by Max Sayuthi. Cover artwork & concept by Auk's de Nekrademus. Total running time is 62 minutes. 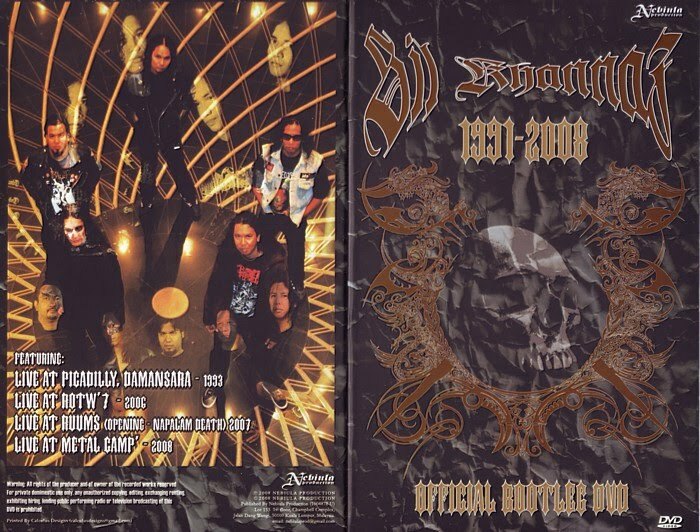 Double discs CD & VCD released & distributed by EMI (Malaysia) Sdn Bhd in 2007. Below are some photos from inside of the CD package. 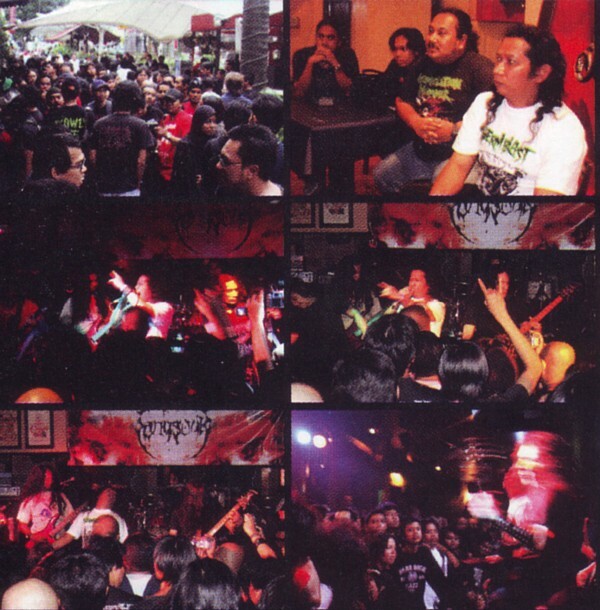 Double discs CD released & distributed by InterGlobal Music (M) Sdn Bhd in 2007. 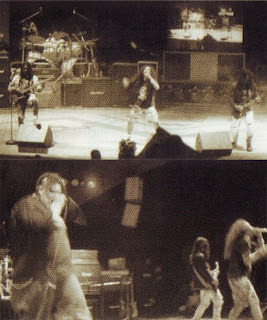 Below are some photos from inside of the CD package. 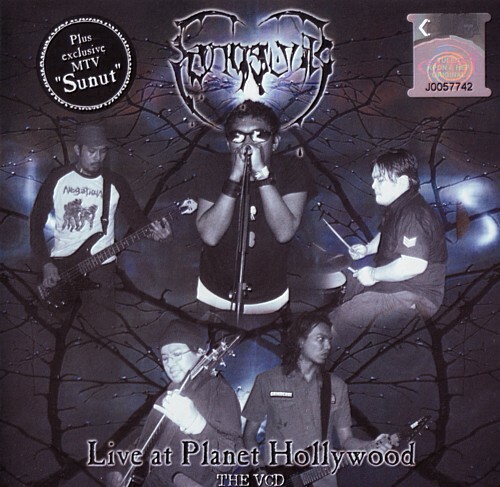 Video CD released by Clockwork Records and distributed by EMI Malaysia Sdn Bhd in 2006. 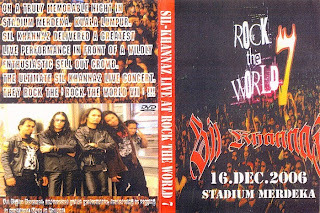 "On a truly memorable night in Stadium Merdeka, Kuala Lumpur, Sil Khannaz delivered a greatest live performance in front of a wildly enthusiastic sell out crowd. The ultimate Sil Khannaz live concert. They rock the 'Rock The World VII'!!! 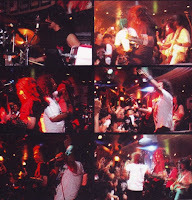 All Rights Reserved, unauthorized public performance, broadcasting or copying is prohibited. Made in Polland"
This is an unofficial bootleg DVD released in 2007. The official bootleg version of the same video recording was released by Nebiula Production in 2008. 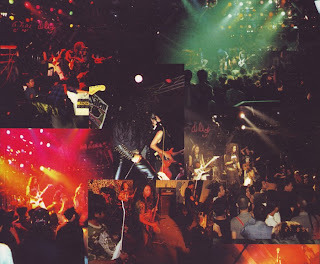 Rock The World is an annual 1 day music festival. 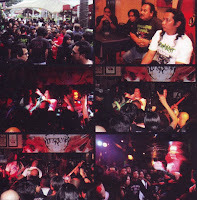 The 7th edition involved 50 bands and solo performers. 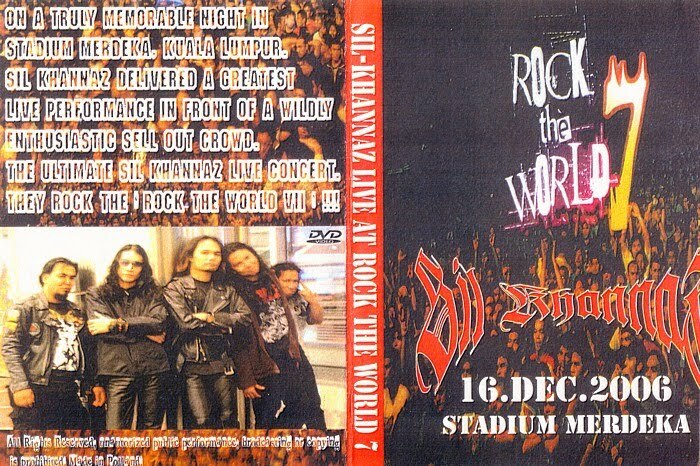 The compilation video of Rock The World 7 has never been released as usual like the previous editions. Double discs VCD produced by Fandango Productions and distributed independently in 2005. A self released video, shot with a single hand-held camcorder. 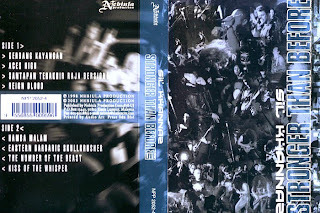 This is one of the earliest Sil Khannaz live video recorded in 1993 and it was released on DVD by Nebiula Production in 2008. 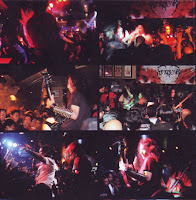 The DVD entitled Sil Khannaz Official Bootleg also included their performances at Rock The World 7 (2006), Metalcamp '08 (2008), and their opening show for Napalm Death Smear Campaign Asia Tour (2007). 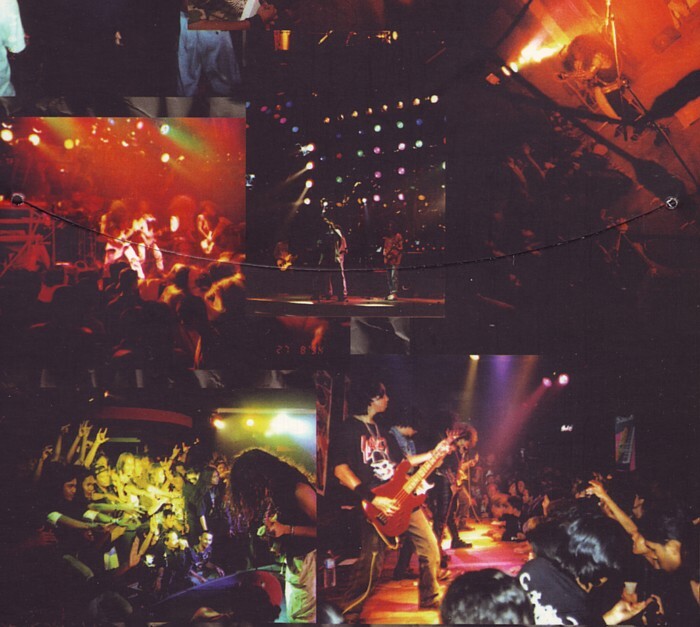 Below are some photos from inside of the DVD package. 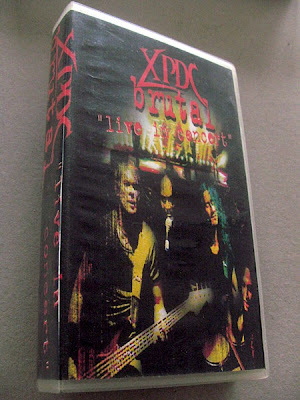 Double discs VCD released by Life Record Industries Pte Ltd, Singapore and distributed by MPEG Video (M) Sdn Bhd in 1998. This VCD was banned in Malaysia because the Censorship Board did not approve a few things such as the word Brutal in the title, displaying long hair of band members and crowd, performing headbanging including windmill, wild acted crowd with some of them did not wear any shirt and like to show middle finger to camera! However this VCD was released in Singapore and the bootleg version quickly spread all over Malaysia. There was even a bootleg VHS tape available at that time. 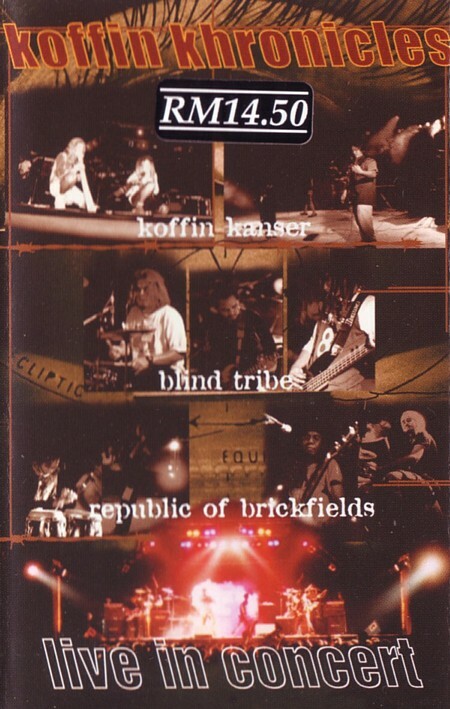 The censored version of this VCD was finally released in Malaysia in 2003. 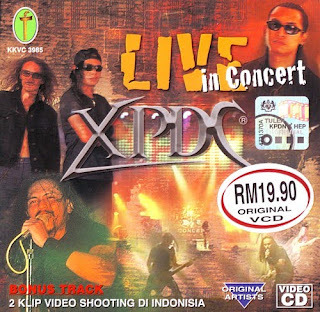 Before this VCD was produced, Life Records released a live audio CD of XPDC concert at Stadium Negara, Kuala Lumpur. 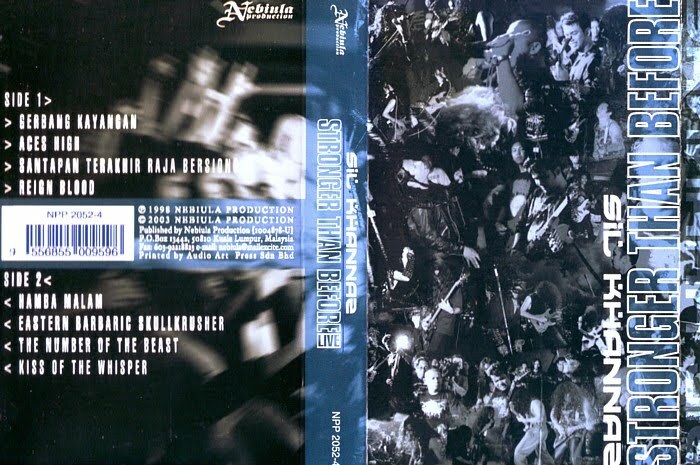 Since the Stadium Negara setlist are almost the same as this VCD setlist, most people mistakenly thought that this VCD is the video version of the Stadium Negara concert. FYI, Zua's hair is much longer in the Stadium Negara concert's photo. Double discs CD released & distributed by Hup Hup Sdn Bhd (Life Records), Malaysia in 1998. Video version of this concert is not available. Image Of Purity and Live! Compact disc manufactured & marketed by EMI (Malaysia) Sdn Bhd in 2008. Two songs from this concert, Misty & Metallurgical, were released earlier by Valentine Sound Productions as bonus tracks in the repackaged version of Cromok's debut album, Image Of Purity (1991) in late 1992. 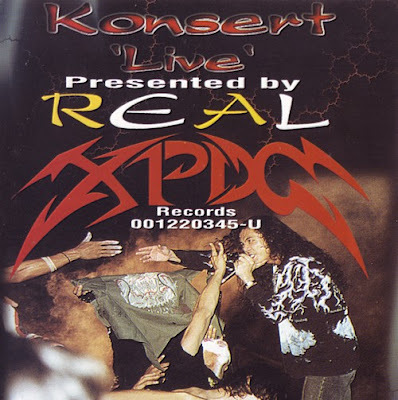 Suffercation performed 5 songs as opening act for Cromok in this concert, but the 30 minutes set is not included in this audio recording. 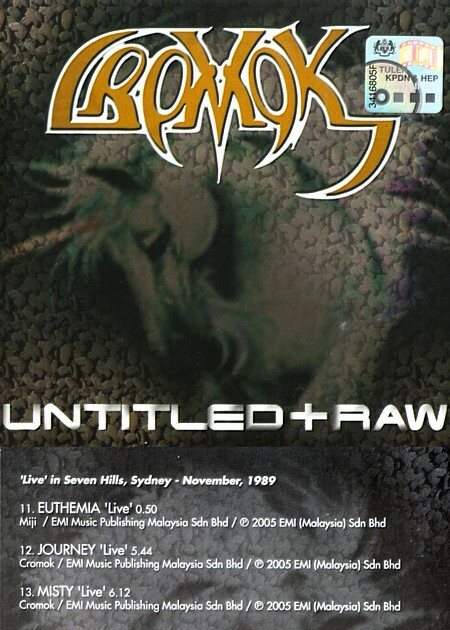 Compact disc released by Rhapsodeath Productions and distributed by Basement Records, Singapore in 2007. Remixed & remastered at 1Step2Misery Studio, Kuala Lumpur.